I am a huge advocate of the unsweetened life. While I fully support a sugar-free lifestyle, eliminating white sugar isn’t enough. 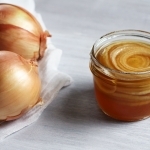 Maple syrup, molasses, honey, coconut sugar, agave syrup, and even dates — these are all natural sweeteners that can cause tooth decay, raise your blood sugar, and upset gut flora. Because I’m obsessed with insulin resistance and all its ramifications in the body, I’m most concerned about your blood sugar. You’re not doing yourself a favor if you’re putting equal amounts of natural sweeteners in place of white sugar. In fact, you can still harm your insulin receptors by eating just as much natural sweetener as you would white sugar. Do whatever it takes to minimize your sweetener intake! 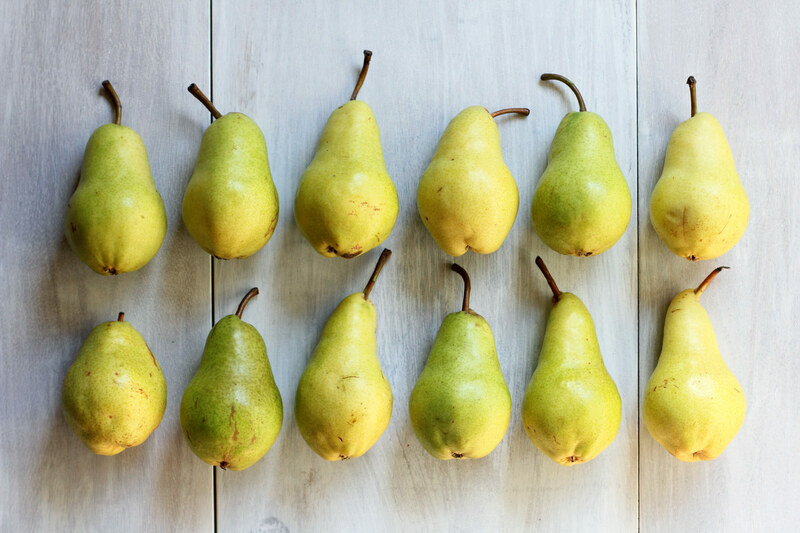 This is the number one reason to use pears as a sugar substitute. You can add pureed pears to any baked good. I have used pears as a sugar substitute to feed the yeast in homemade gluten-free bread. The bread rises just fine! On the blog, I use pureed raw pears in my Autumn Spiced Pear Cake, Gluten-Free Whole Grain Pizza Crust, and Sugarless Sugar Cookies. I use pears to sweeten my vegan chai cupcakes, which are not on the blog, and I’m working on a chocolate donut recipe with them in it. Using pureed pears is not an equal exchange for sugar or any other sweetener. It’s a sugar substitute in that we’re using the pureed pears to sub out some or all of the sweetener. Since it’s not equal to sugar, it does take some time to figure out how to work them into your recipes while also decreasing the amount of sweetener. I’ve been doing it for years, so I can usually do it without failing. But if you’re not an avid baker, it may take some work to get it right, but it’s totally worth it. Treat pureed pears as a liquid in your recipes. If you’re trying to work them into a baked good, you’ll need to be mindful of possibly decreasing the total amount of liquid in the recipe, as pears have a high water content. Pureed pears are especially helpful in gluten-free baking because they add moisture and texture, something that’s often lacking in a lot of gluten-free baked goods. Pears are also mild in flavor and color, so they won’t overpower the flavor of the final product. I like using the whole pear because then I’m using a whole food, retaining it’s skin and fiber. I once read a book that very clearly defined whether a food was a whole food or not. If the pear has been skinned, it is not considered a whole food. Puree the entire pear. Skin and all (just no seeds or stem). Because I have been using raw pureed pears in my baking for years, I have standardized them down to a specific measurement. One pureed raw pear with the skin is about 3/4 cup. This is how I use them in my recipes now — 3/4 cup pureed pear. 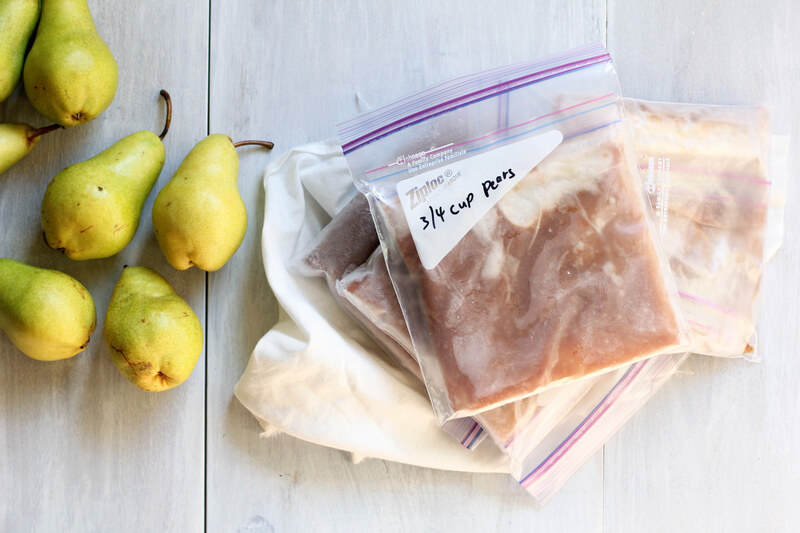 To make this pureed pear business easy, I puree a whole bunch of overripe pears at one time, freeze them in individual 3/4 cup measurements, and then pull them out of my freezer one at a time. You do have to thaw the pears all the way. If you use them frozen, it can alter the temperature of your ingredients and mess up the final product. Always thaw them all the way! I recommend over-ripe pears because the more ripe they are, the sweeter they will be! If you’re using an under-ripe pear in one of my recipes, it won’t work the same. An under-ripe pear will work very differently in a recipe than an over-ripe pear. Having pureed pear packets ready to go saves me an incredible amount of time when I’m making archerfriendly food. If you want to make my recipes at home, and have the same effect, I recommend you start doing this too! I keep frozen 3/4 cup pureed raw pear packets in my freezer at all times. When they get low, I will blend up a new batch in my Vitamix. Give pears a chance, and let me know how your alternatively sweetened baked goods turn out! Hi, thanks for this. I never thought of using pears as a sweetener. I am just wondering if you ever use stevia. Since I rarely bake it is a time saver for me. Hi Dr Archer! Thanks so much for this insightful article on using pears in baking. I will definitely try it soon. I would like to ask you what you think about using apples in baking, or unsweetened applesauce? Thanks! I love this idea. What is the ratio of the pear to the sugar, in other words, does 1 cup of pear the equivalent of 1 cup of sugar?